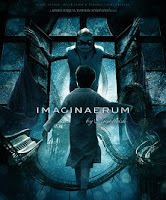 Imaginaerum tells the story of an elderly composer, Tom, who suffers from severe dementia. As he has had the disease for years and has regressed into childhood, he remembers practically nothing from his adult life. His music, friends, all his past including the memory of his daughter are a blur in his fragile mind. All he has left is the imagination of a ten year old boy. As he drifts away into coma, it seems impossible to get back what he has lost. Or is it?